QRPme - QRP FUN in cans, boxes and from scratch! FDIM 2019 Buildathon: O*Scope FUN! Genuine Millen sockets & FT-243 crystal blanks! SKINNY kit version of the Rockmite ][! 2011 FDIM Build-Along kit mailed to your door..
Texas Topper ][+ 5 band SPECIAL! QRP-ARCI FDIM 2015 Buildathon kit mailed to you. The original cover article for the Tuna Tin 2 was published in the May 1976 issue of QST. 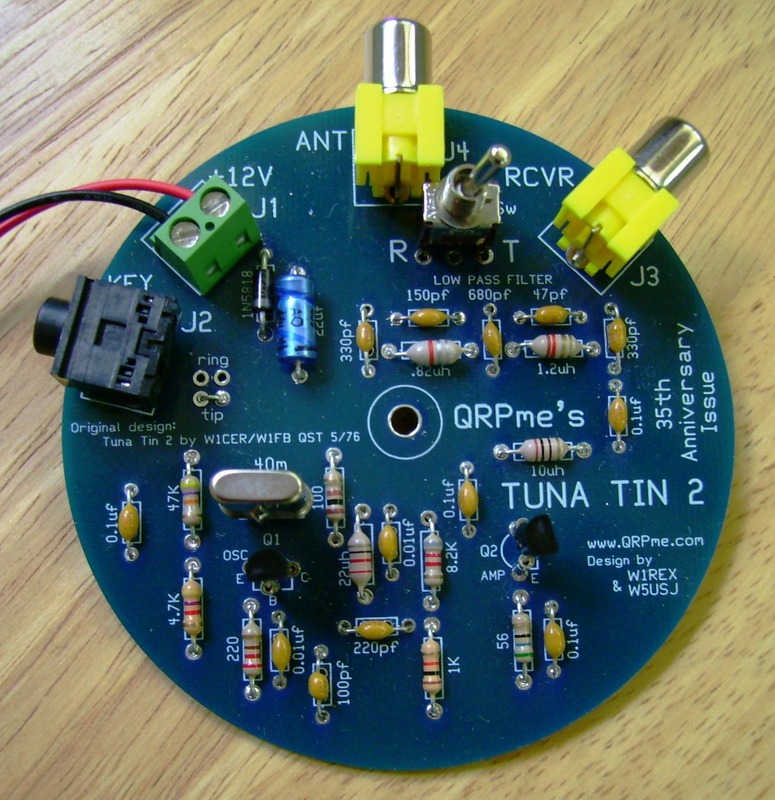 Over the years this quintessential QRP transmitter has been built by thousands of amateurs. QRPme kits several versions of the TT2 and offers up one more. The 40th anniversary Tuna Tin 2 transmitter kit is THE perfect kit for club builds and Buildathons due to its easy construction and HIGH degree of probability of having a working kit at the end of the build....even for 1st time builders.